Efficient, beautiful and timeless! 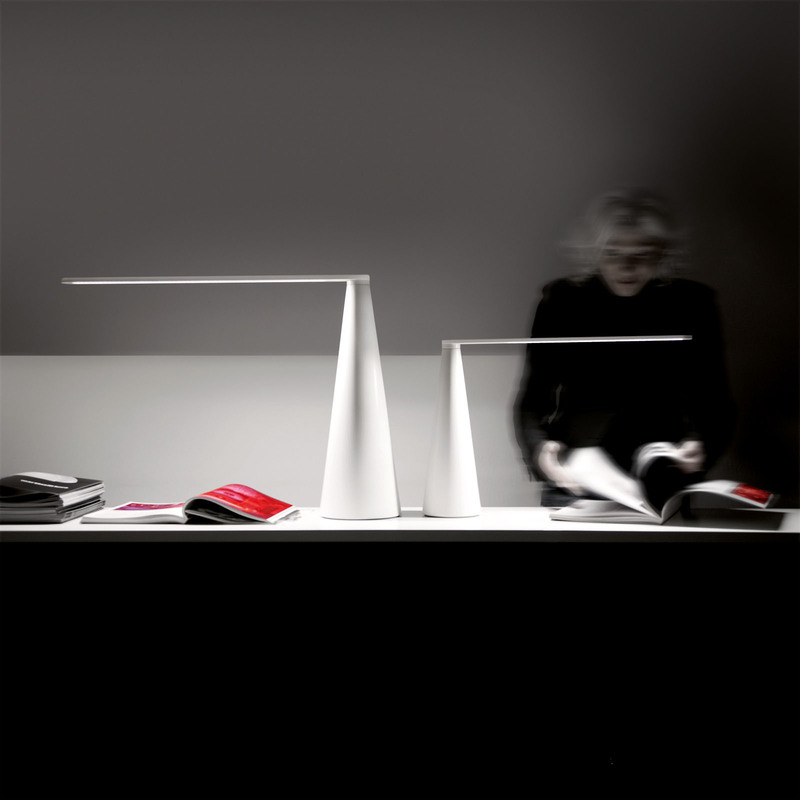 Elica is the most awarded lamp in history receiving the Compasso d'Oro, the Red Dot Design Award, the ADI Design Index Award, the Good Design Award, the IF Gold Award along many others! Elica was designed by the Italian designer Brian Sironi for Martinelli Luce in Italy. The sculptural-like Martinelli Luce Elica table lamp is a new modern classic; a light that everyone seems to love. Its presence turns heads wherever it is placed. The sophisticated design of the Elica light by Martinelli Luce is a perfect blend of graceful elegance and modern design. 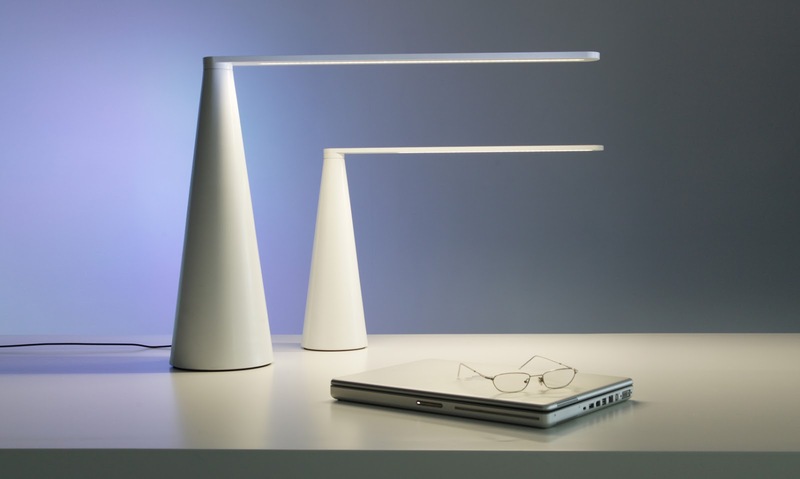 With its emphasis on adjustability, the light affords maximum usability in different work environments. 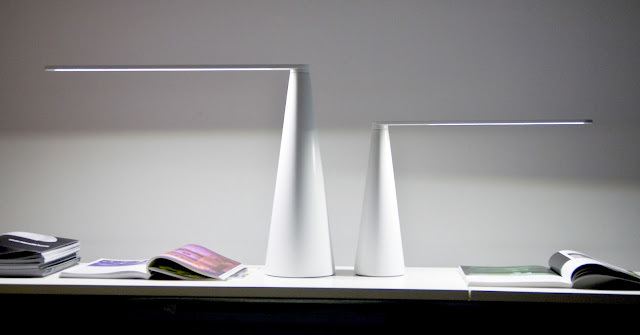 Exhibited for the first time during this year's edition of the the Milan Furniture Fair, Elica incorporates advanced LED technology while its concealed pivoting joint enables rotation of the lamp shade. 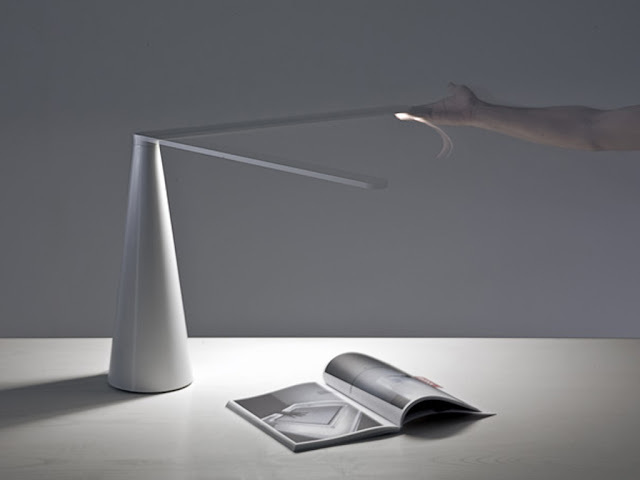 Another clever feature is that the lamp is turned on/off by rotating its arm; there are no on/off switches that can alter the harmony of its pure form. The Elica lamp by Martinelli Luce works wonders in contemporary interiors but can also be used to blend a modern element into traditional homes. Elica is a stunning table lamp; perfect for use as an office task light on the desk, bedside lamp or when placed on an end table in the living room. Martinelli Luce's Elica brings a highly sculptural element into the home or office; sure to be enjoyed for many years to come. 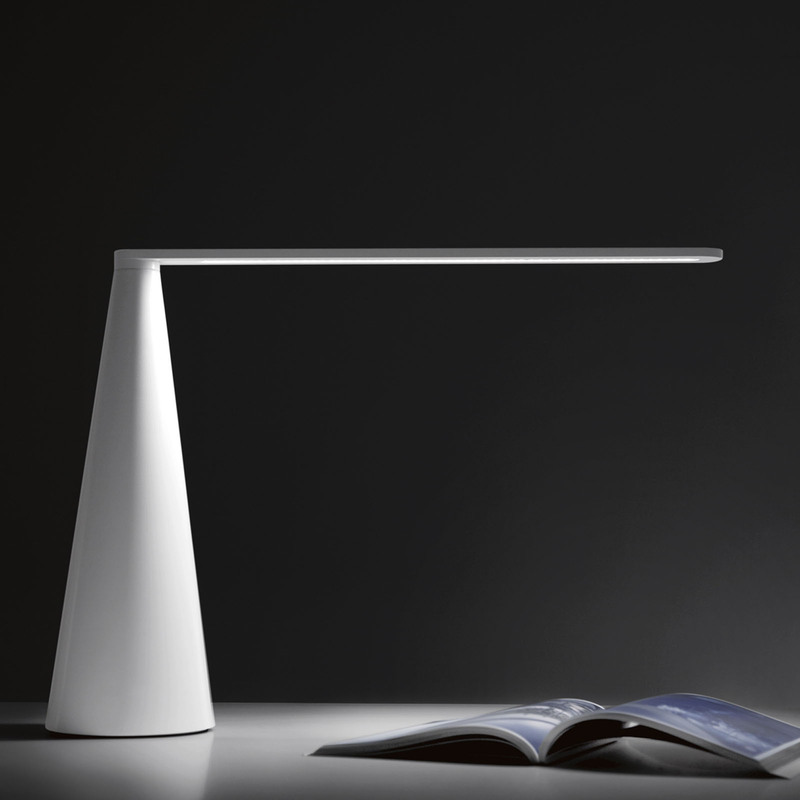 Our clients, including architects and interior designers, often specify this lamp because of its sophisticated look.